What Video Games Tell Us About the Technology Apocalypse | Nerd Much? Technology is simply an unknown factor, with a word of caution attached. 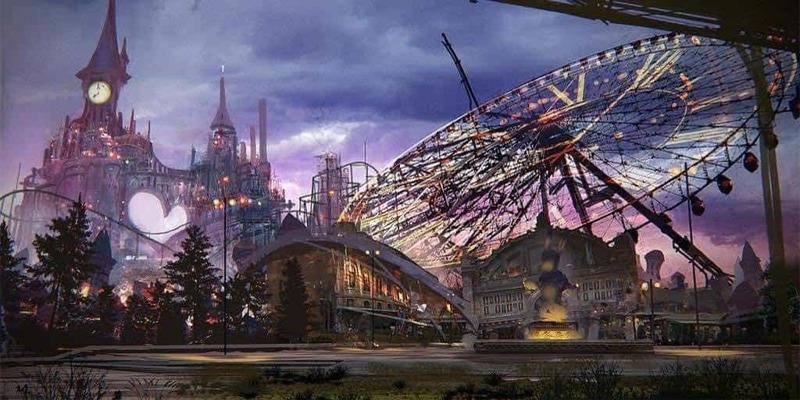 Almost all video games based in a world of alternate futures or post-apocalypses have something to say about technology. 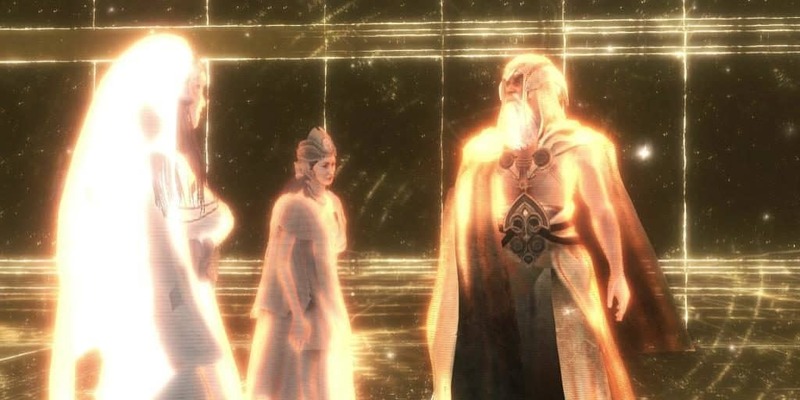 From Final Fantasy all the way to the Assassin’s Creed series, there are piles and piles of slightly different narratives on what technology will mean for humanity. Some, like Horizon Zero Dawn, state clearly that technology is bad. Something that will destroy civilization over and over again. Others, like the Assassin’s Creed series, glorify technology as the ultimate sign of power — almost to the point of deification. These games certainly show us possibilities and, in some cases, we’ve been living that future for a while. As such, the narratives within Horizon Zero Dawn, NieR Automata, the Assassin’s Creed series, and Prey can tell us what we can do about advancing technology; even if the games don’t always provide a healthy solution. Let’s first take a look at NieR Automata. If you haven’t played it yet, I highly recommend it. There’s so much to learn and study, no matter how many times you’ve played it. As such, the game’s relationship with technology is complicated. I have my theory, but it definitely isn’t the only one out there. NieR Automata is also one of those lovely games that purposely doesn’t provide a clear answer to the questions the narrative poses. That said, NieR Automata seems to be stating that the effects of technology is cyclical in nature. It destroys and creates in equal measure over time. The only thing that might stop it, is for one party or the other to take responsibility, take control of the situation. Though it is only in theory that it will work at all in the world of NieR. Or, for that matter, our world. The best answer NieR Automata can give us is that technology is simply an unknown factor, with a word of caution attached. So what about Horizon Zero Dawn, then? 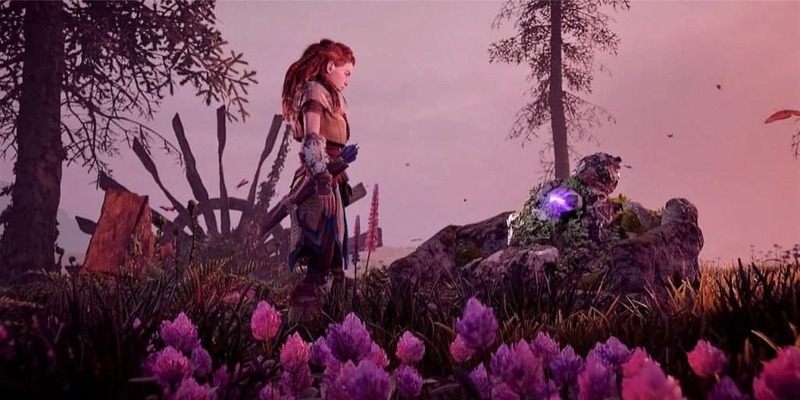 Surely Aloy’s people are sure of their opinion on technology, having built a whole society around it. Yet the game tries to justify or explain the reasoning behind technology’s corruption, like it somehow wasn’t humanity’s fault. 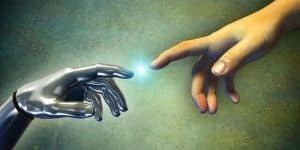 However in the end, all machines “die”, allowing the current human peoples to grow as they should without the machines dominance. The overall message in the end, is that nature/life is more valuable and “good” than the death technology brings. The Assassin’s Creed series, however, has a very interesting take on technology. On one hand, we have the assassins. This group is determined to find X religious artifact and return it to the aliens. To get answers and something about freedom, the reasoning is quite vague; usually the reasoning leads back to the assassins’ version of democracy. The freedom of individual independence from government is very important to them. So if X religious artifact represents technology and the aliens are the creators of it, then the assassins almost deify technology. It is something to be worshiped and left untouched, not used or built upon in any way. On the other hand, we have the templars. This group wishes to use the alien technology to further human advancement and increase their control over the general populace. The templars do this because they believe in a vague dictatorship, as humans can’t handle freedom. The common folk must be ruled by the more educated and powerful, least they fall into anarchy. For both groups, technology equals power. The assassins wish to live without it, and the templars wish to use it. Both are a vastly different message than NieR Automata or Horizon Zero Dawn. Technology is not a corrupting force, but a device of political power. Some would say there isn’t much of a difference between the two. The message of Assassin’s Creed, then, depends on the game you play. But since the series is titled after the assassins, we’ll assume that once again, technology is a corrupting force to be stopped. The assassins solution is to give technology back, to leave progress up individuals and humanity in general. They are confident in humanity’s abilities, apparently. 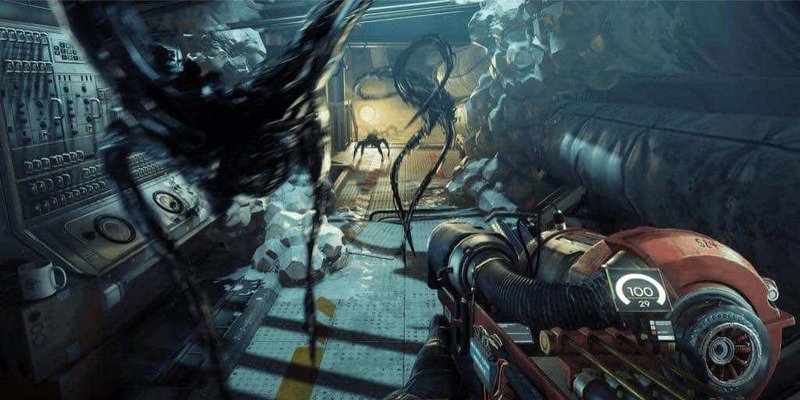 Another video game with a message about technology is Prey (2017). Obviously, technology is a corrupting force here, as the aliens are a result of humans exploring too far. Curiosity killed the human, as it were. Though technology is used to gain an advantage over the aliens in combat, the end message here is that technology is something to be healthily respected. Humankind must never advance beyond a certain point, or we might make a mistake that affects more than just one space station. This is quite interesting because the other games I’ve discussed above see technology as an inevitable march that must be controlled or destroyed; Prey wishes to halt technology entirely. This is a solution, if a rather extreme one, but it’s an answer. It’s something we can actually do about technology right this moment. But is it the right solution? Though video games are a really great way to explore humanity’s relationship and future with technology, they remain a contradiction. By simply existing and perpetuating the strong upward curve of advancement, video games will always be for technology, not against it. For more ramblings about video games, stay tuned to Nerdmuch.com. This links to a retail affiliate. Nerd Much? may receive a small commission from your purchase.